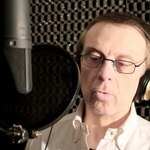 My voice is adaptable to various types of products: commercial, educational, infographics, videogames, audioguides., video corporate, trailers, movies, Tv-Radio Spot. My style can be warm, bright, soft, institutional, incisive, brilliant, reassuring. Max is a male voice actor located in Casalecchio di Reno, Italy. Words that describe my voice are Italian Voice Talent, Reliable Italian Voice, Professional Italian Voice Tal.